If you like our free Exoplanet Theme, you’ll love Exoplanet Pro. 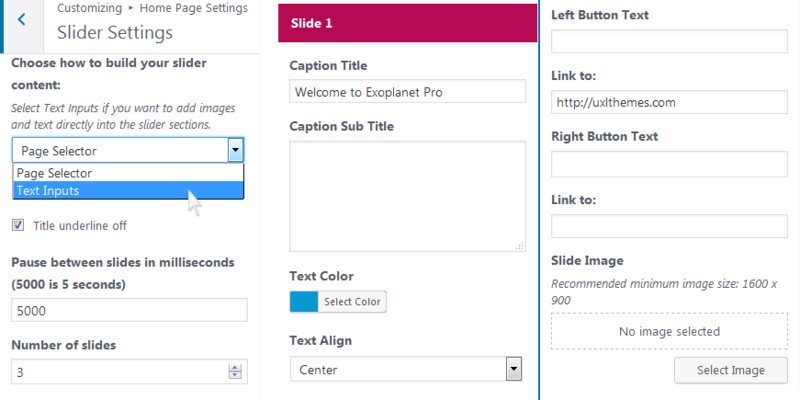 Exoplanet Pro brings extra slider options including slide speed, number of slides, text & image inputs, colors and layout. 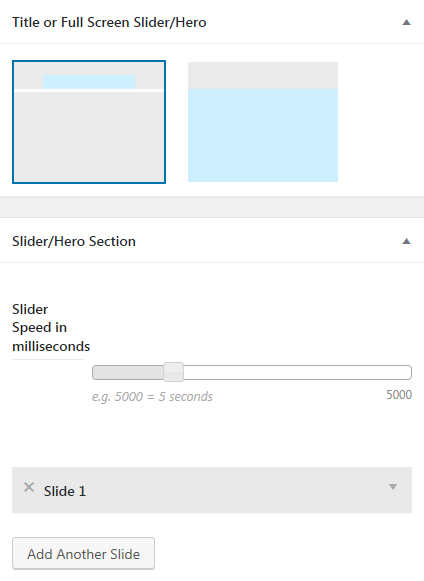 Sliders can also be added per page directly in the page editor. A whole load of extra color options. Positioning of your shop sidebar. Change number of products per row. Add contact information, shop account/login, shopping cart and social media icons/links. 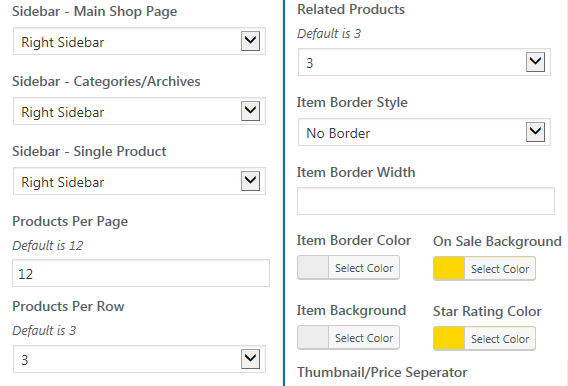 Specify a different color for the shopping cart, depending on whether the cart is empty or has items added by your customers. 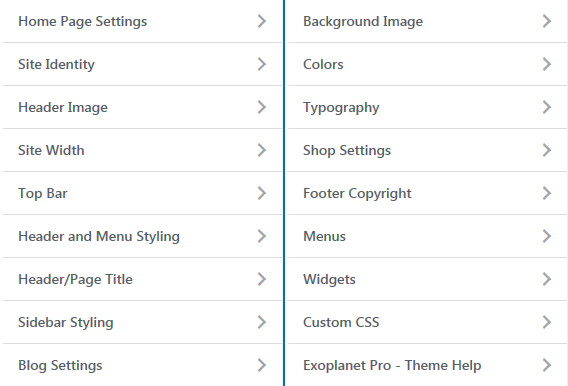 The header with your logo and primary menu can also be changed to a centered layout. 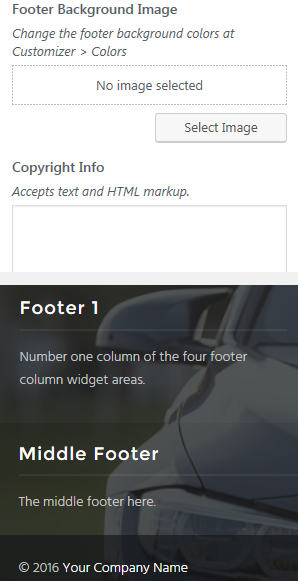 Add a footer background image. Remove or add your own copyright information. Choose standard header or slider. Change header image per page or post. Add custom CSS per page or site-wide. 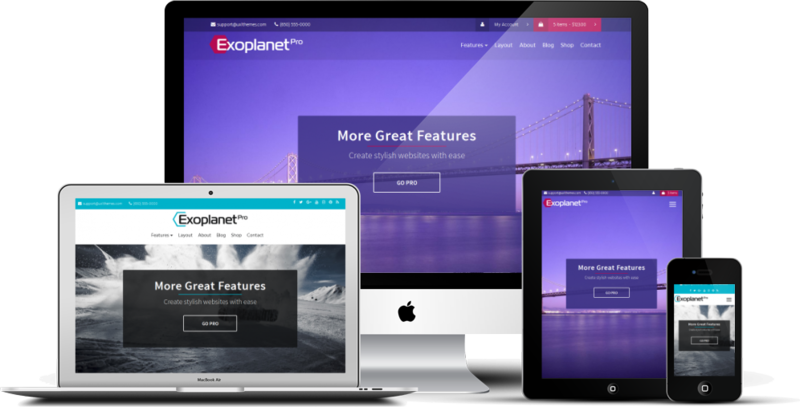 Import your customizations from Exoplanet with one click. 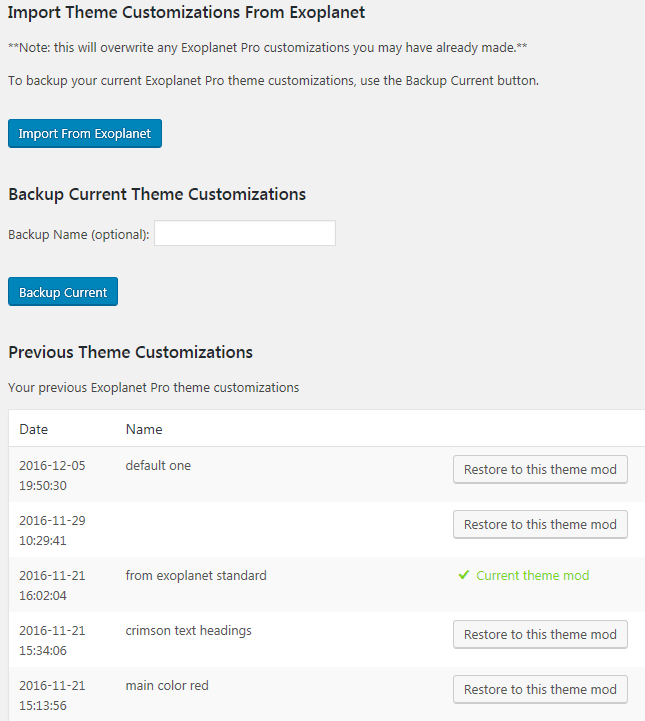 Backup your theme customizations at any time. Revert to your previous settings whenever you want. Upgrade and get Exoplanet Pro to keep forever.